Yes, this was an amazing discovery. And the clothing he wore is very interesting. What happened to Mallory's body after that? Is it still there under the cairn the climbers built over him? Is there a memorial marker there by now? I would imagine his body is still buried where he laid the last 80+years. Maybe a marker, but there are dozens of bodies on Everest, a price some of the mountaineers who brave its heights sucomb to. Many do not get buied except by natural causes. He is dead but not forgotten. At least his children have closure. He shall remain remembered as one of Everest's first and best climbers. It has been out for about 14 years. I read it back when it was first published. I have read about half a dozen of David Roberts books. He likes some of the same country that I find so fascinating. In his early years he did some pretty wicked climbing trips. In his later years he turned a lot to the southwest and the Colorado Plateau country. If you like to read, look into his books. Wade Davis has also written a great book about Mallory, "Into the Silence". Mallory was a good climber, but George Finch was possibly a better one. Unfortunately, he was not of the "correct" class and so was not invited on the 1924 expedition. If he had been Mallory's partner, instead of Irvine, things may have gone better. Hopefully someday someone will find the camera to help prove that Mallory made it to the top. I read once that Irvine's body may have been found by a asian climber that was out taking a piss finding what appeared to be a very old looking body. Gary, I would like to believe that Mallory made it to the top. The Chinese climber who may have found Irvine's body, died on the same expedition, but said he had found, and I paraphrase, "English dead, very old". Irvine's ice axe was also found. Anker believes and he has good reason to believe, that Mallory and Irvine turned around and fell on the descent. Mallory was by far the better climber, though Irvine was adept at maintaining the primitive oxygen apparatus. Perhaps Odell should have accompanied Mallory rather than Irvine. My understanding is that experts are divided as to whether Mallory could not have navigated the "Second Step." I think now Anker says he might have, but he originally thought it was beyond Mallory's known ability. Its nice to think Mallory made the summit, but I do not know that the evidence is conclusive either way. "To me the only way you achieve a summit is to come back alive. The job is only half done if you don't get down again" John Mallory (son of George). Anker has been back several times, including using period gear. His first thought was that Mallory could not have summited, because he felt that the Second Step was way beyond Mallory's ability. He later said he thought perhaps it was possible, but then, the last I heard, he said that he didn't think Mallory could have, given the gear they had. My own thoughts are that while Anker had only a brief time to become accustomed to nailed boots, etc., Mallory had spent his climbing career in them and was more experienced in the gear. Gary, the New Zealand bee keeper himself said, "If you climb a mountain for the first time and die on the descent, is it really a complete first ascent of the mountain? I am rather inclined to think personally that maybe it is quite important, the getting down, and the complete climb of a mountain is reaching the summit and getting safely to the bottom again." The weak point for me, as I have alluded is Irvine. Andrew Irvine was young and not very experienced. He was good with the oxygen apparatus and that is one big reason he was chosen. If N.E. Odell was chosen, or if George Finch(who was quite good with the oxygen apparatus and was a good climber) had come on the expedition, it might have gone differently. Had many others before Mallory attempted Everest? I suggest you read Wade Davis' book Into The Silence, that Erich recommended above. 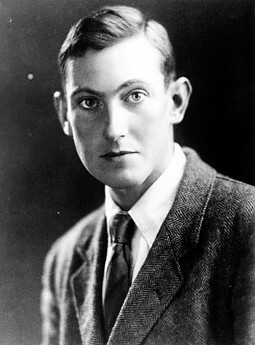 Mallory was an active member of the Alpine Club (the British climbing club was, and is still, called The Alpine Club). Like many of the other members of The Alpine Club, Mallory was in the trenches during The Great War (aka "the war to end all wars", aka World War 1). The early explorations of the Everest Region were explored for political reasons and competition among several of the European powers, including England and, surprising to me when I first read it, Russia. China, even then, considered Tibet as their territory. India (which included what is now Pakistan and Bengladesh) was very possessive of the Everest region, including Nepal, even though England controlled India. Much of Davis' book is involved with the various intrigues. We tend to think of the unrest in Asia as being a fairly new phenomenon. But it was just as intense in the late 19th and early 20th Centuries as it is today (minus nuclear weapons, but with lots of chemical and biological "weapons of mass destruction". The short answer to your question is that Mallory, as one of the leading (and probably the most talented) of the climbers of his time was heavily involved in the exploration of the Himalaya, both north and south sides. There were several expeditions to try to find the best approach, including the Khumbu - rejected at that time because the ice fall appeared so dangerous (which it is, as the avalanche last year that triggered the shutdown of the South side demonstrated). As Bill mentions, many countries were vying for Everest and the surrounding area. But it was still relatively unknown and the first expeditions were just exploratory to try to find a way in. When the French climbed Annapurna in 1949, they had to recce the mountain first, and then climb. Although they achieved the first ascent with no loss of life, thanks to some great climbers, it was nearly a disaster. Sorry, memory lapse, the French climbed Annapurna in 1950, not 1949. Was watching this video this morning "Dark side of Everest"
For those of you who have done Everest or the poles, what drives humans to do such crazy feats of endurance just to say they have been to such places? Its like saying you are going to possibly kill yourself if the noose doesn't break. Also for those of you who believe in God, what do you think about this suicidal attempt on your life doing such things as extreme mountaineering and crossing the ice fields when you might die doing so? Do you think God holds you accountable as say for someone who breaks the commandment about killing? Gary, there are several authors who you might read to help answer this. Bill Tilman's "Seven Mountain Travel Books", Walter Bonatti's "The Great Days", Gaston Rebuffat's "Starlight and Storm" and Lionel Terray's "Conquistadors of the Useless". Mallory, who flippantly said, "Why do we climb? To get to the top", also said, "Have we vanquished an enemy? None but ourselves." I have done a few crazy mountaineering adventures in my youth, and I am somewhat fortunate to still have all of my digits. But never did anything like Everest or the poles. I attempted Denali three times, but made the top only once. I got higher than that climbing in Peru, but didn't attain that summit. Did some other adventures that do not sound as glamorous but were as challenging, nevertheless. I was tough as nails but still considered a little crazy. I think your question makes some assumptions that people going into these adventures approach risk differently than those who choose less obvious challenges. Baring the obvious optimistic fool who tries to climb Everest in a speedo, I don't think most set out on these journeys any differently than others do on journeys they assume are of less of a challenge. We craft our Plan A, and plan our contingencies; and plan some more. We think we set prudent limits regarding how much we are willing to push the margins, but always think we have established plans that will get us back in one piece. In many ways these thought processes are no different than what we experience facing more "mundane" challenges, like driving in bad weather, or hiking solo off trail. These, too, have deadly consequences. If your car slides off the road and into a gully, no one will see you and you'll freeze. Who considers that, but still drives on into the storm. A bunch of people. And many on this forum hike solo, often off trail. A misstep can break your leg and possibly other bones, and there you will be stuck, with a good chance of exposure or dehydration claiming you before SAR finds you. Some here have rock climbed routes that have known fatalities, even routes some considered akin to bowling allies (excessive rock fall). Most of us have gotten on the road on New Years Eve and shared it with drunks who couldn't maintain their lane. Some may even admit they were passengers of those drunks, while a few may be candid enough to admit they were the drunk behind the wheel. What makes any of these behaviors more or less suicidal? I have never climbed with someone who consciously set out on a trip where mortality was considered a potential outcome of a rationally executed plan. As the video states these adventures all have predetermined turnaround points. The goal of every climb, drive and swim is getting home. The problem is when hubris, pride, exhaustion or extraordinary circumstances cause us to deviate from our plans, when it takes the drunk five tries to get the key in the door lock, or the climber purposely violates his turnaround time, or the cross country hiker continues onwards, ignoring how fatigue and dehydration has made him clumsy. Often disaster is not the result of one error or circumstance; it is a cascade of events. The car didn't just suddenly end up in the gully; the drive first had to set out in weather they had no business traveling in - perhaps - then they had to misjudge road conditions, misjudge the level of control they had, and misjudge how to react to loss of control or the fact the on coming vehicle was going too fast and was destined to force you off the road. Mountaineering accidents are similar in that regard. You ask how do people rationalize their pursuit of risky adventures? Pretty much the same way you weigh the risk of cycling along I-15 on your bike while sharing the road with high speed traffic whizzing by just a few feet away, and sometimes only a few inches. What you have in common with the elite mountaineer is you have developed a complacency regarding your peril, as you have done this many times. We "know" what we are doing. I eventually stopped pushing the envelope when it became apparent to me I had a pathological attraction to fear and pushing the limits, that it was only a matter of time until fate caught up with me and defined my limits, or that plain old objective risk draw my number. But that realization happened only after a near brush with disaster, an experience that was so visceral it plunged me into a six month depression. Some fingers and toes are a little numb, decades later, but I can still count to twenty. Now I almost always take the easiest/safest way to the top. I was just asking to find answers from different others on how they rationalize climbing deadly mountain climbs where death is a easy outcome. I know why people do what they do, cause I have been doing crazy things all my adult life that my relatives consider foolhardy and outrageous. Even after 40 years as what I call myself a adventure traveler, none of my siblings still understand why I continue at age 59 to do what I do. I have practically given up on trying to explain my rationality. And my brother gave up on me over a year ago when I again chose to do another bicycle tour instead of settling down and working when I am so close to retirement age. He is 10 years older and worked hard all his life to raise two families and feels I have wasted my time being "footloose and fancy free" He will never understand the passion that drive people like us. In two weeks I will be going back to Wyoming for another summer and then in the fall be on another long bicycle tour from there possibly to Florida where my sister (21 years older) who unlike my brother excepts in her own way my life has been different but just stays out in the margin and always says "go with God" when I leave on a new long adventure. Both of them (my only two siblings) seem to believe that someday somewhere someone is going to find my body like that of Mallory dead on the side of the road or trail and they will be the unlucky ones to hear of my demise. They have even the last few years asked me to carry in my wallet their names,addresses and phone/emails so that when that fateful day arrives it will be quick that they know what has happened to me and have immediate closure. Personally I do not see myself "ever" stopping doing what I do until some fateful day I do die in the wilderness or on the side of some distant road. My brother once when I was still just in my early 50s told me,"wait till your'e 60 and run out of steam". I guess in some ways I am trying to show him that I am still strong and will continue this lifestyle till I am long past retirement. Yes, I do less than I did when I was just 10 years younger and it has declined about 25% every decade since I was 21, but I just tend more to take my time and see the world in a greatly better slower way and enjoy what life I have been given. So heres to you all that even in your just weekend warrior adventures, in the immortal words of Spock; "Live long and prosper !" And Thoreau; “I went to the woods because I wished to live deliberately, to front only the essential facts of life, and see if I could not learn what it had to teach, and not, when I came to die, discover that I had not lived." Gary, I would not say that mountains present and "easy death". I think there are as many answers to your question as there are adherents to climbing. Joshua Slocum was considered a bit risky, even in his time. But his circumstances narrowed his choices. He found himself without a ship, on the beach, as it were, and yet still wanted to go to sea. With modest means, he couldn't afford much, and a friend gave him a craft unsuitable for open ocean and the voyage of Spray became famous and gave Slocum income from lectures and the book he wrote. Franklin was paid to explore. Admiral Byrd made a career and living by promoting his adventures. Richard Francis Burton had an insatiable curiosity and quest for knowledge of the exotic. Many solitary adventurers seek knowledge, knowledge of the world around them, and themselves. If you have not read the works of Bill Tilman, you might try there, as he spent his life in various adventures. Gary, Life is full of risks. The biggest of all is, as the old saying does, "The greatest cause of death is being born." Everywhere on Earth (and in space, since we have been to the Moon, have a "permanent" space station, and are planning to set up a colony on Mars, probably one-way), there are risks. I currently live within 10 miles of the San Andreas Fault System and about 15 from the Hayward Fault, both of which are predicted to slip with a quake of 7 or higher with something over a 50% probability within the next 30 years. I drive on the freeways, which some days seem to be populated by drunks, druggies, madmen (and women), who are either totally oblivious to their surroundings as they zigzag in and out across 5 lanes of busy traffic traveling a speeds in excess of 75 mph (I know their speeds because I am having to drive 70+ just to keep from being run over), or maybe actually out to get me (I have had two cars try to cut in front of me simultaneously from the 2 adjacent lanes, trying to take over my lane more than once). As a bicyclist, I am more than aware that there is an average of a bicyclist a day run down on the SF Peninsula (interspersed with several pedestrians a week run down in San Francisco itself). So far, the flashers I have pointing front and back on my helmet plus riding in groups has proven safe, though a friend was rear-ended by a woman who was high on some drug that is not supposed to be taken with alcohol, while the police measured her above the legal limit - my friend luckily got off with a broken collar bone. It is hard to mitigate those risks. But I can mitigate the risks of spending time in Antarctica in a storm and whiteout lasting 6 days while in my tent, and have accumulated 3 weeks sitting out a storm at 14,000 ft on Denali during which 2 tents were blown out from behind their windwalls by 70 knot gusts at the 17,000 ft camp, plus 4 weeks total sitting out storms at 17,000 ft. Given the right gear, using windwalls, and understanding the dynamics of storms helps a lot with surviving such storms without losing body parts to frostbite. It is not "suicidal". Like everything else in Life, it is a calculated risk, backed up by training and awareness. I have indeed lost climbing partners. But in 6 decades of climbing, including in polar regions and high mountains, I have had only 1 partner and 2 climbing friends die in a mountaineering situation. But I have lost a half dozen to car accidents while driving home from climbs and several more than that from "simple" weekend backpacking trips because they were exhausted and sleepy in their hurry to get home ("gotta get back to work on Monday"). I have lost acquaintances to cars running into them while they were on their regular bicycle commute. I lived for 10 years in Mississippi where there are multiple tornadoes every year which destroy people's homes, with injuries and sometimes fatalities. One of my boyhood heroes died in a flash flood that caught him on a highway in Arizona (never met him, just knew him as a boyhood hero). There is NO place on Earth that is immune from natural disasters - earthquakes, volcanoes in the island "paradises" of Hawaii and Tahiti, tornadoes in the Midwest, hurricanes/cyclones/typhoons along coast lines, huge snow dumps that last days even in places known more for hot and humid summers, droughts (latest report for California is we have 1 year's supply of water left), sand and dust storms in many parts of the world, and the unquantified threat of asteroid strikes with no ready way to deflect those rocks. Add to that plagues ranging from "simple" measles to ebola. Then there are the insane fanatics and power-mad dictators who have nukes at there fingertips and/or command fanatics willing to tie explosives around their bodies to blow up as many people as possible. Most climbers and explorers I have known have died of old age and/or various degenerative diseases that seem to be claiming more and more friends as we live longer, which provides time for these diseases for which no cures are known have time to develop. We try to take precautions to the best of our knowledge and experience, whether it is buckling the seatbelt in our car that has airbags and a structure that is designed to absorb the impact of a crash. My first car had no seatbelts, typical of its day. I put lap belts in my second car, for which I am thankful, since a drunk ran a red light and T-boned me - no injuries plus I was able to maintain some semblance of control. At that time, seatbelts were almost unheard-of. I do a lot of traveling by plane. Should I avoid airplanes because a plane in SE Asia disappears in some unknown part of the Indian Ocean? The probability of dying in a plane crash is much smaller than in a car on the freeway. Going by the statistics gathered concerning climbers, the death rate for climbers is tinier by several orders of magnitude than winning the lottery. Yet people plunk down $5 or $10 each week in the vain hope of bein that 1 in a million who wins (and then pays half of it to the government for taxes). Yes, there are people who get in over their heads because of hubris or just plain bad judgment, or because of fatigue, fail to make the 180° call. My answer to your question is that I have no hint of when I will die and by what means. I study the situations I am getting into, what the risks are, and try to learn how to minimize the risks. I had an uncle who compiled statistics for one of the major insurance companies. According to the statistics, something close to half of all people in the US will be involved in a major auto accident (meaning serious injury, major property damage, or death) in their lifetime. Life is too short as it is. Enjoy what there is of it, and most important, make a positive contribution to the world and its inhabitants. Very well said, Bill. From my perspective, I can mitigate the risks I take on a major canoe expedition. I can do this by gleaning as much knowledge as I can of the route, by consulting maps, reading old journals and trip reports, by studying weather patterns. I can thoroughly prep my gear. I can choose my partners carefully. I can even practice in the same canoe I'll be taking. Certainly, there are still risks, but I have limited those risks by preparing carefully. Conversely, I can, as Bill alludes, hardly practice for the big Seattle earthquake. I can have emergency rations set aside, a plan developed for what to do. However, if I am downtown and piece of terra cotta breaks off a building and falls on me, there is no amount of skill, risk assessment, or emergency gear(including a hard hat) that will save my head from being thrust inside my torso. A couple of years ago, I was driving and rear ended by a woman on her cell phone, late to her yoga class. It was stop and go traffic. The first time she almost ran into me, she looked up and stopped at the last minute. I saw her in my mirror and uttered a sigh of relief. A few minutes later, still on her cell phone, she plowed into me. I didn't choose to be on the road with her, did not know her attentiveness as a driver or her skill at stopping, I couldn't get out of my own car and wait until she passed. I could only hope, which is akin to trusting that she would not make the same mistake twice. In some sense, I think that some climbers, and other adventurers become "conquistadors of the useless" in order to know themselves better, to feel perhaps more in control of their destiny, and yet, at the same time, more in awe of nature and the power of life. For some, it may be almost a spiritual pursuit. Since this post began with Mallory, perhaps a quote by him(he wrote very little) would be appropriate. "...Is this the summit, crowning the day? How cool and quiet! We're not exultant; but delighted, joyful; soberly astonished...Have we vanquished an enemy? None but ourselves. Have we gained success? That word means nothing here. Have we won a kingdom? No...and yes. We have achieved the ultimate satisfaction...fulfilled a destiny...To struggle and to understand -never this last without the other; such is the law...We've only been obeying an old law then? Ah! but it's the law...and we understand - a little more. So ancient wise and terrible - and yet kind we see them; with steps for children's feet." An old caver I know use to say to me, "Our goal today is this car, not the spot on the map we're planning to see."